Gold Dot: the gold standard for personal protection. 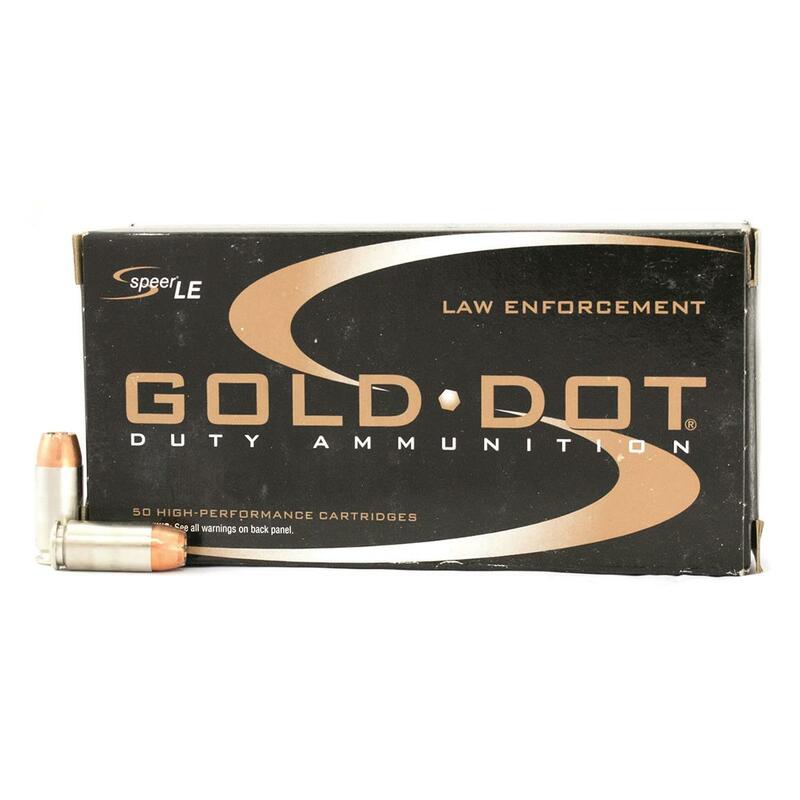 Speer® Gold Dot Pistol Ammo: Dependable, high-performance no-fail ammo. Speer Gold Dot, .40 S W, GDHP, 180 Grain, 50 Rounds is rated 3.0 out of 5 by 1. Rated 3 out of 5 by Hunter from Came with Crushed/Open Boxes This was a good deal on good ammo, BUT ammo arrived with some boxes crushed and with loose bullets. Why can't SG figure out how to ship ammo right like other companies that offer equally good prices on ammo?